Neil Quigley has over fifteen years experience of producing and presenting Sports programmes. Here is Neil Quigley reading a Sports Bulletin. Here is Neil Quigley leading the coverage of Yeovil Town V Blackpool in the 2007 League One Play Off Final from Wembley Stadium. Neil Quigley has carried out countless interviews with sports men and women and attended many press conferences and events. 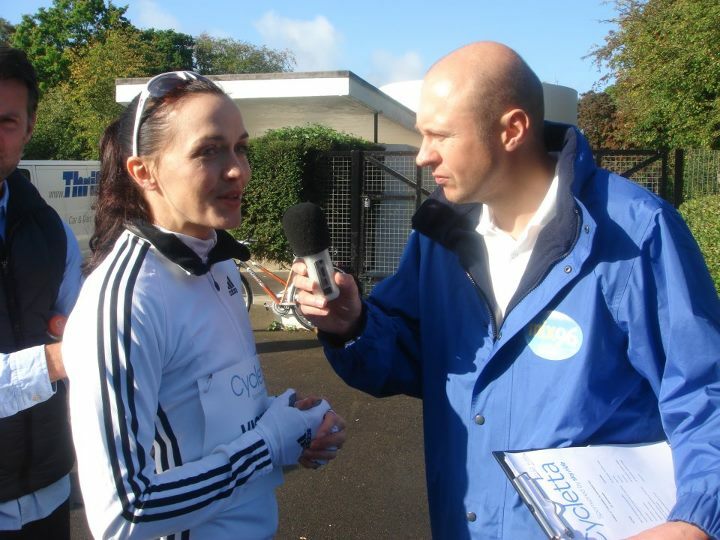 Here is Neil Quigley interviewing Olympic Gold Medallist Victoria Pendleton at a Cycling Event she was involved with.